Did you know that July is National Ice Cream Month? In 1984, Ronald Reagan decreed that July would be National Icre Cream month! 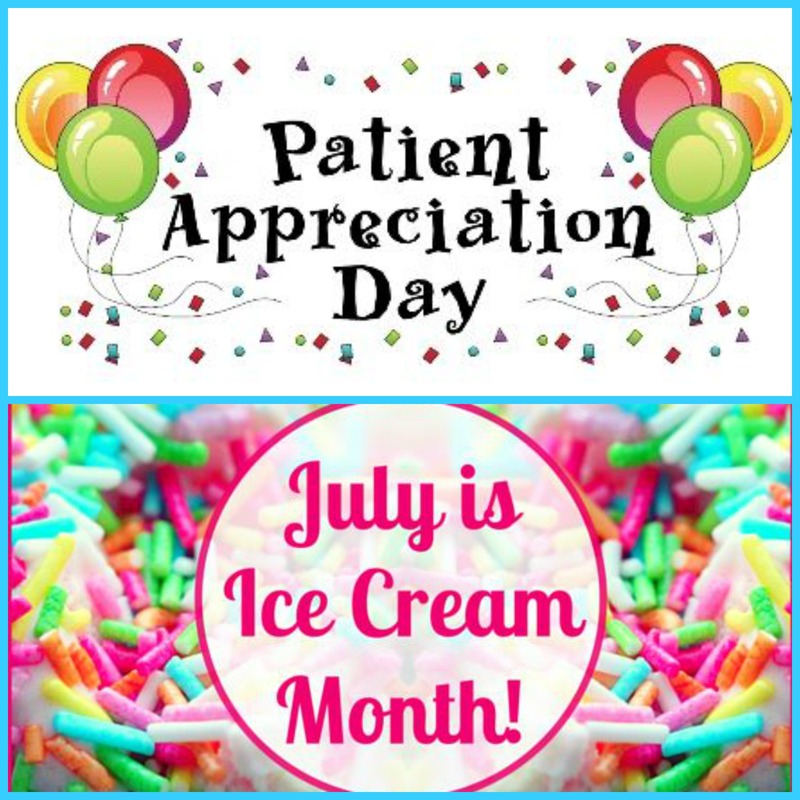 Here at Dentistry for Life, we think that is a reason enough to celebrate but since we also get to work with such WONDERFUL and SPECIAL patients, we are hosting our 2017 Patient Appreciation Day a few months early! FREE ICE CREAM SUNDAES IN OUR OFFICE ALL DAY LONG! 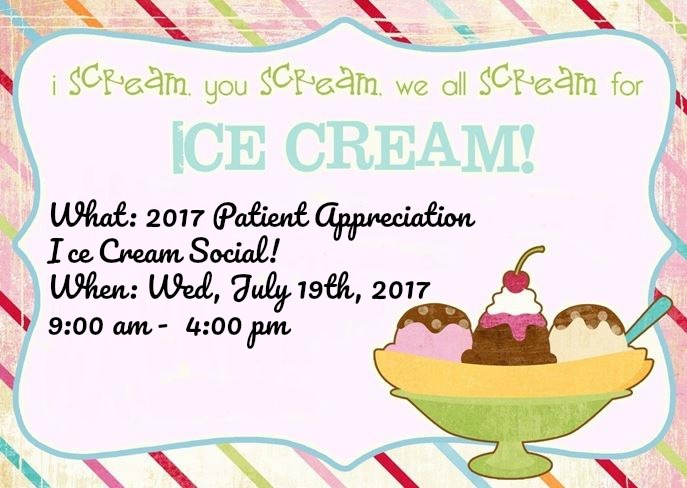 When: Wednesday, July 19th from 9:00 am- 4:00!